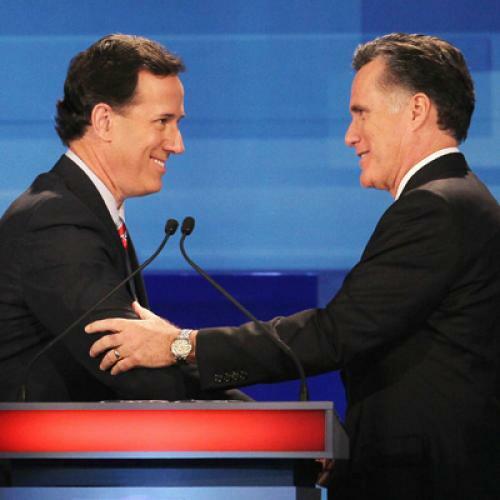 Who is the real Mitt Romney? Richard Grenell, the openly gay conservative who abruptly resigned as a Romney campaign spokesman, has answered that question for us. It would be unfortunate if Romney were able to persuade people that the GOP isn’t captive to its extremists, because even if Romney showed some bravery on this issue it wouldn't really be true in general. Not to put too fine a point on it, if you are gay you’d have to be out of your mind to support today’s Republican party. Romney has complex views and a talent for framing them either way, depending on his audience. He values truth, so he makes sure there’s an element of it in everything he says. He can’t stand to break his promises, so he reinterprets them. ... The problem with Romney isn’t that he keeps changing his mind. The problem is that he keeps changing his story. All politicians do this, to an extent. But Romney practices the art of obfuscation with unusual skill and frequency. Did he really oppose the auto bailout? Did he really think the individual mandate was a good idea for the rest of the country? Did he really support the Paul Ryan budget? I’ve researched all of these topics extensively and I still cannot tell you with certainty what Romney actually thinks or what his past statements meant. Not even Bill Clinton required this much parsing. Romney's cagey statements means that, in theory, he can be anything to anybody. So if you’re a progressive and you want evidence that his instincts are more moderate than his rhetoric suggests, you’ll find it. But you'd be foolish to weight that evidence heavily. As Greg Sargent put it, the Grenell episode is a litmus test of “Romney’s willingness to take on extreme voices within his own party.” The results could not be more clear. He wasn’t willing to take them on during the primaries and he’s not willing to take them on now. Update: With a few more links, cites, etc.